The First World War was an unprecedented catastrophe that killed millions and set the continent of Europe on the path to further calamity two decades later. But it didn’t come out of nowhere. With the centennial of the outbreak of hostilities coming up in 2014, Erik Sass will be looking back at the lead-up to the war, when seemingly minor moments of friction accumulated until the situation was ready to explode. He'll be covering those events 100 years after they occurred. This is the 78th installment in the series. Churchill was quick to point out that the “next strongest Naval Power” (no one needed to be told this meant Germany) was adding new dreadnought-type battleships at less than half this rate. In short, Churchill’s vow to outpace German construction by a margin of at least 60 percent was being realized, and the threat to Britain’s naval supremacy was receding—at least for the time being. There was some reason to hope the Germans were throwing in the towel in the naval rivalry. Back in February 1913, Grand Admiral Alfred von Tirpitz had given a speech to the Reichstag indicating the German government was prepared to accept 60 percent superiority in the British dreadnought fleet, as demanded by Churchill. This concession came amid a general warming of relations between Britain and Germany, who cooperated at the Conference of London to resolve the crises resulting from the First Balkan War and also settled disagreements about colonial boundaries in Africa. Unsurprisingly, Churchill remained leery of the Germans, noting that their naval concessions were provisional and easily revoked. 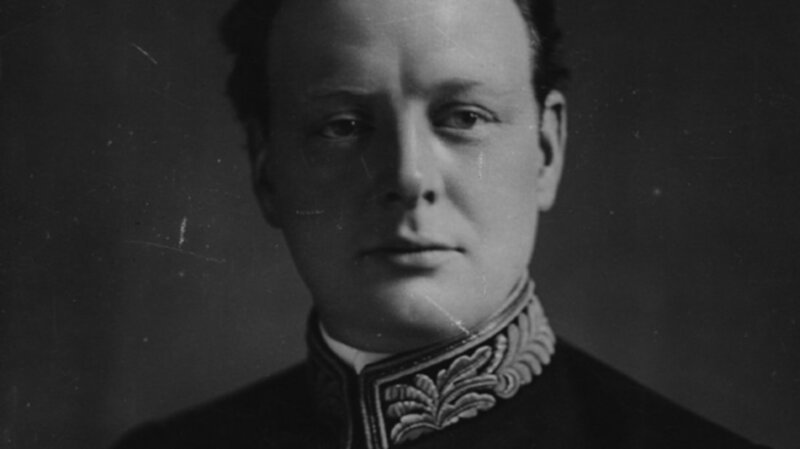 On March 26, 1913, the First Lord cautioned Parliament, “We must not try to read into recent German naval declarations a meaning which we should like, but which they do not possess.” But on April 30, Churchill struck a more positive note, privately informing the German ambassador, Prince Lichnowsky, that the naval rivalry was the only real obstacle to good relations between Germany and Britain. Ironically, the improvement in Anglo-German relations in 1913 may have inadvertently contributed to the outbreak of war in 1914 by leading the Germans to believe the British wouldn’t intervene in a conflict between Germany and France. This was (typically) wishful thinking on their part—the British had learned they couldn’t allow a single nation to dominate Europe, as Louis XIV and Napoleon had, with disastrous consequences for Britain. While the British were undoubtedly pleased to slow the naval arms race and settle colonial issues, this didn’t mean they would stand by while Germany crushed France and seized control of the continent. The Second Balkan War was an unmitigated disaster for Bulgaria, which found itself under attack (or rather, counter-attack) on all sides, resulting in the loss of most of its conquests from the First Balkan War. With Serbian and Greek armies advancing in the west, in the east Romanian troops occupied the northern Bulgarian province of Dobruja on July 11, 1913, and two days later Turkish troops moved to reclaim Adrianople, which had been left completely undefended. Bulgaria’s traditional Slavic patron, Russia, made no move to help, and Tsar Ferdinand frantically turned to Austria-Hungary for military assistance, pointing out that the rise of Serbian power endangered both their interests. But the indecisive Austro-Hungarian foreign minister, Count Berchtold, kept adding new conditions for a potential alliance. Thus, on July 15, he demanded that Bulgaria’s pro-Russian civilian government resign, to be replaced by a new government formed by the pro-Austrian opposition. Grasping at straws, Ferdinand gave the word, and on July 17, 1913, a new Bulgarian government was formed by the pro-Austrian liberal politician Vasil Radoslavov, who begged the Austro-Hungarian ambassador for military assistance the following day: “How is it possible that Vienna does not seize this chance to make an end of Serbia?” But by this point Bulgaria’s defeat was an accomplished fact, and Berchtold (who was being advised to stay out of the Second Balkan War by Austria-Hungary’s Triple Alliance partners) merely encouraged the Bulgarians to make peace on whatever terms they could. Nonetheless, the fall of Bulgaria’s pro-Russian government had serious lasting consequences. The loss of Bulgaria meant that Russia was left with Serbia as its sole remaining ally in the Balkans, and that in turn meant Russia would have to back Serbia up in any future conflicts, or risk losing its influence in the Balkans altogether. In July 1914, this would result in disaster.